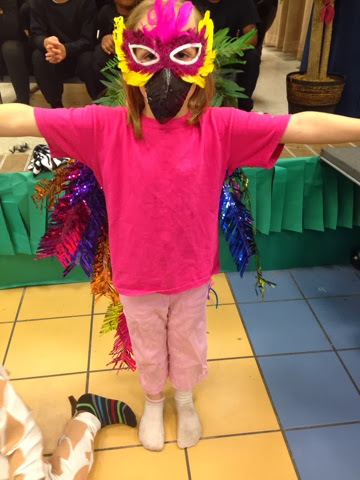 I remember when I was on grade school , probably third grade, my mom made me this crazy chicken costume for our class play. I wish I had a picture... It was pretty awesome. And I'm happy to report that I had the opportunity to continue the fine tradition of bird costumes for class plays. When B was in first grade, I was asked to make animal ears for his entire class. We have so many animal costumes! Naturally, the one animal costume we didn't have was the one Punky Brewster needed for her first grade play. The parrot costume was supposed to be bright. I think we achieved that! The mask was simple... A Mardi Gras mask from the dollar store and some cardboard covered in duct tape. To create the feathers, I took apart a luau themed hanging decoration from the clearance section at Hobby Lobby. . . And expertly secured them with hot glue. She definitely looks more bird like with her arms out. 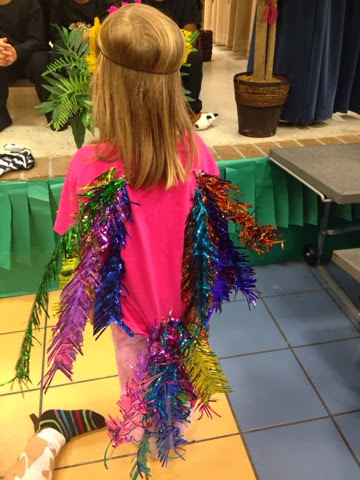 I didn't want to put the feathers directly on her arms because she had to dance. 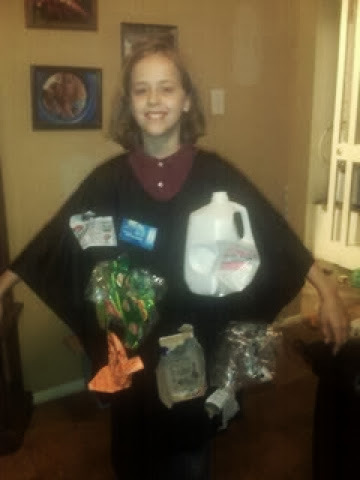 What costumes have you had to put together? Here's another one of my school project creations for the kids...any guesses as to what Leelee was supposed to be? Hint: she had to wear this while reading a poem. 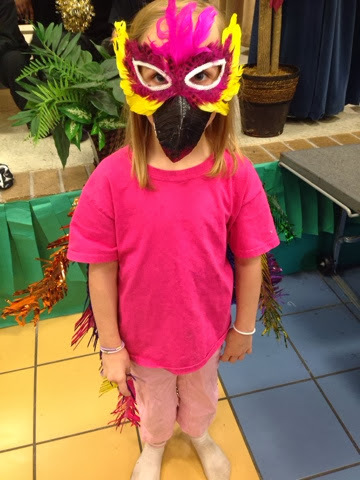 Very colorful and creative -- love the duct tape beak! Thanks for sharing! So cute with mask..if wear a cosplay costumecosplay costume,it will be prefit.